EcoVox President and Co-Founder Ryan Hoest was one of five international guest speakers invited to the three-day event last week which also featured a key-note address by former French President François Hollande. 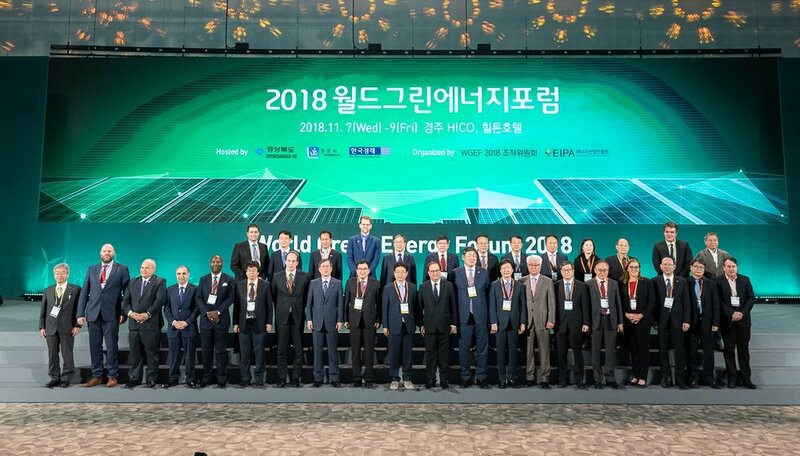 The forum in Gyeongju was hosted by the government of the North Gyeongsang Province, which is looking to lead South Korea’s green energy industry in support of the nation’s “Renewable Energy 2030” initiative. Photo of former French President François Hollande, forum attendees, and international speakers at the 2018 World Green Energy Forum in Gyeongju, South Korea.